Books that feature songs are great a great read-aloud choice. 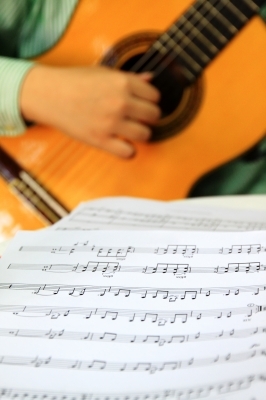 Kids love music, and nothing gets their bodies swaying and toes tapping like a good song. But what should the song actually sound like? It’s really up to you. If you’re hesitant to sing, no worries! Just use the Rex Harrison method of “singing” aka talking on pitch, popularized in My Fair Lady.